Bandasjeunderlag som kan brukes varm, kald eller som den er(tørr). Ideell å bruke til sårskader. Renser og trekker ut bakterier i såret. Et produkt som virker og som bør være i alle staller. 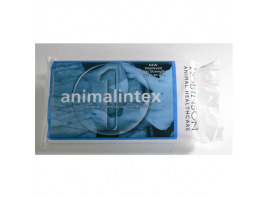 Animalintex is the original and only licensed absorbent multi-layered poultice and wound dressing available in the UK. Animalintex is classified as a Veterinary Medicinal Product and is therefore licensed by the Veterinary Medicines Directorate (VMD). 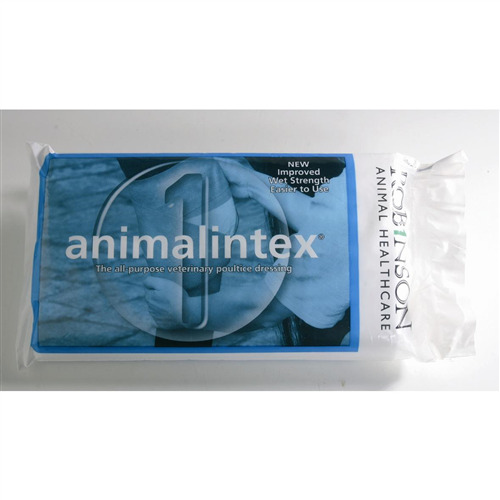 It can be used as a hot poultice, cold poultice or dry dressing and is suitable for the treatment of infected wounds, open wounds, foot punctures, corns, bruised soles, thrush, seedy toe, abscesses, laminitis, sandcracks and thorns.